Tom grew up in rural Indiana where horses in the fields were a common sight. Little did he know that he would grow up with a memory that he would sculpt in wood. 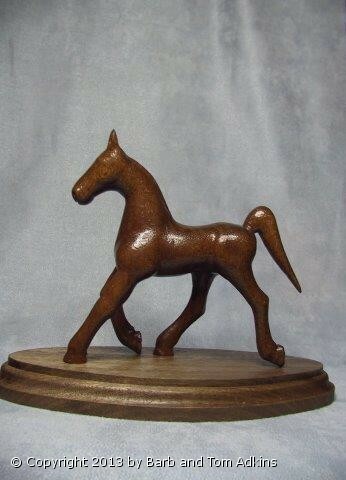 Size: Horse 4" high by 6" long, Base is 2.5 X 8 "